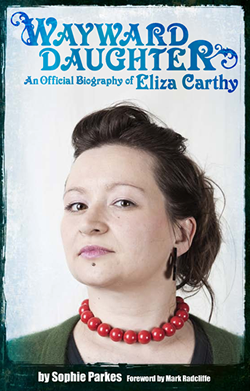 Wayward Daughter: An official biography of Eliza Carthy: So who managed to see The Wayward Tour? So who managed to see The Wayward Tour? Sophie made it to Buxton; Phil and Sue Soundcheck to The Union Chapel. And what a night it was! Amazing musicianship from Eliza collaborators past and present, songs and tunes that were old and new (in every sense!) and an Eliza that was beaming ear to ear. If you didn't get to one of the gigs, try and catch them at one of their festival dates this summer (Folk By The Oak, Wickham, Sidmouth, etc) as you'll be blown away!